The Rev. Robert Jeffress of Dallas is taking some national heat for his comments last weekend about presidential candidate Mitt Romney and The Church of Jesus Christ of Latter-day Saints, referring to the LDS Church as a "cult." One columnist even went so far as to compare the Christian influence of Rev. Jeffress with Elder Russell M. Nelson of the LDS Church's Quorum of the Twelve Apostles — and found Rev. Jeffress to be lacking. Daniel Ruth, a columnist for the St. Petersburg Times, had a lot to say about Rev. Jeffress, referring to him alternately as "the Torquemada of Texas (a reference to Tomás de Torquemada, an infamous leader of the Spanish Inquisition)," "the Simon Legree of Leviticus," a "scriptural snake oil salesman" and a "biblical bully." 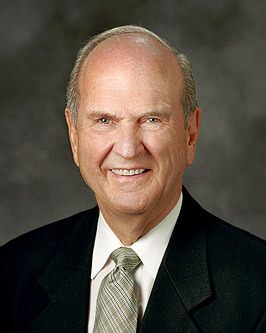 What They're Saying About "Us" Politics & Religion Russell M. NelsonPolitics & Religion,Russell M. Nelson,What They're Saying About "Us"